A customer service crisis can happen at any time. A product defect, a natural disaster, a poorly designed advertisement, or any number of factors can set off a firestorm that damages your brand. The results can be catastrophic, from losing customers and brand equity, to lawsuits, and more. Ensuring that your team has a media-monitoring strategy in place can help identify, manage, and recover from even the most devastating brand crises. Social: Social media monitoring to track conversations on different social platforms can help with everything from identifying an impending crisis to tracking how much public discussion issues generate. Media: Media monitoring tools help you stay connected with discussions that are emerging in mainstream media channels, including websites, magazines, newspapers, and TV/radio. Influencer: A new type of emerging monitoring is focused on influencers. As brands increasingly invest in influencer marketing, being able to track influencer activities across channels can help identify allies or specific brand risks. 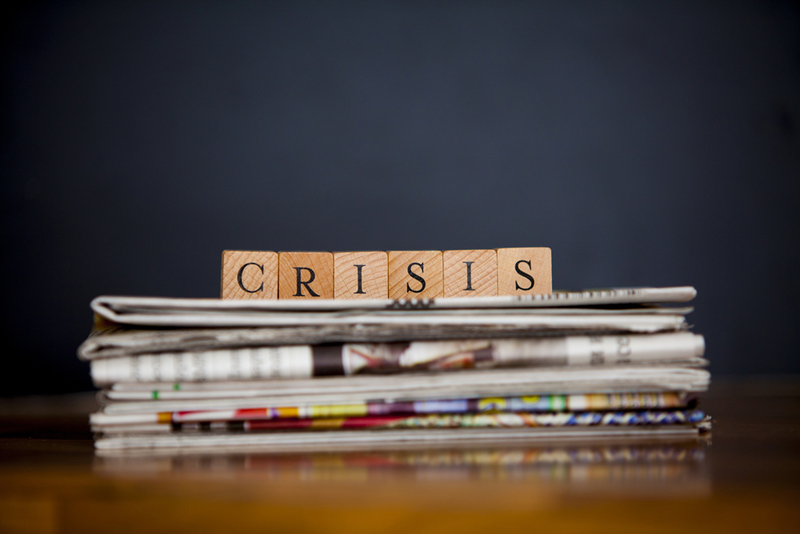 Use media intelligence to identify a crisis: The earlier your brand is able to identify a crisis, the more swiftly and effectively you can respond. Media monitoring tools can help you identify red flags such as customer complaints, product recalls, unflattering mentions in the media, and other issues as early as possible. Whether it’s an offhand mention of a crisis situation at one of your physical locations or an angry customer who’s determined to vent on Twitter, media monitoring and intelligence tools can help you see these events moments after they hit the Internet. Stay updated while a crisis is in play: A crisis can occur with startling velocity. Video monitoring tools can help you stay connected as a crisis takes on new dimensions. For example, angry customers may be venting about a product on social media. This creates an opportunity to reach out to those customers directly, deal with the issues, and respond to the online complaints. However, if a mainstream media outlet focuses on those complaints and writes a story, that can escalate the crisis to a whole new level. Media monitoring can help you stay dialed into which channels are relevant to your action plan. Rebuilding your brand: After a crisis has occurred, rebuilding your brand is vital. Media intelligence tools can help your marketing team determine which channels they should focus on, track the evolution of brand sentiment, and determine whether efforts to redeem your brand have been successful. For example, if people are continuing to complain on social media, it’s important to put additional focus on that area. If journalists are continuing to recycle stories about how your brand struggles, this may suggest the need for a press outreach program. Crisis management isn’t a case of if it will happen; it’s a case of when it will happen. Social media and traditional media monitoring tools can help brands more effectively and efficiently identify, solve, and recover from crises when they occur. Invest in these crucial analytics now, so you are prepared with every advantage possible when a crisis does strike.